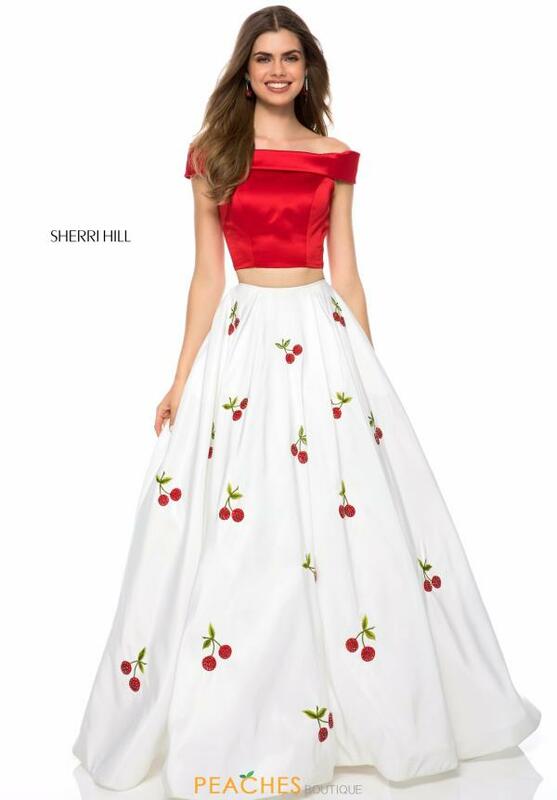 Look sassy and sweet in this charming Sherri Hill style 52030 at your senior prom. This fun two piece ensemble features a satin crop top with off the shoulder cuffed neckline, cap sleeves, dainty back bow and back cut out. 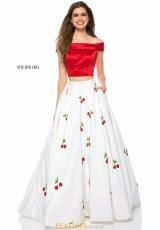 The long, a line skirt is adorned with fun cherry appliques and has a back sweep train. See more amazing Sherri Hill gowns at Peaches Boutique.